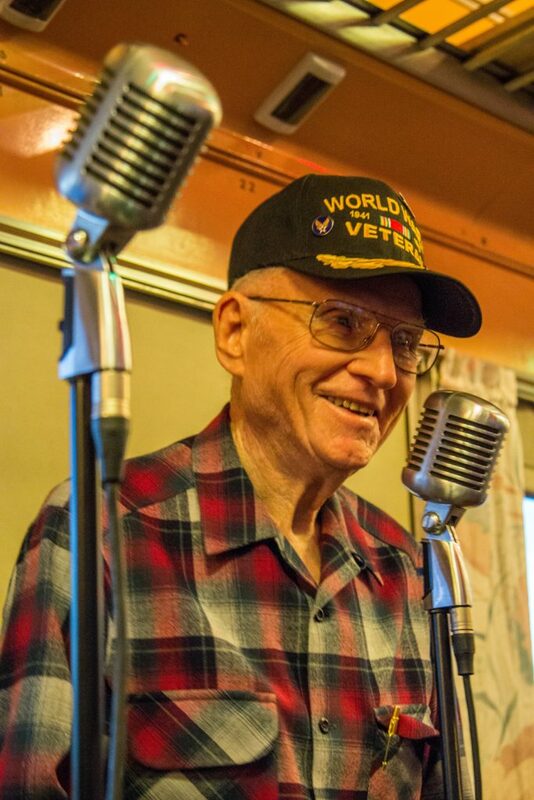 For many of us, the phrase “the greatest generation” is usually one we remember reading about in our history books at school. 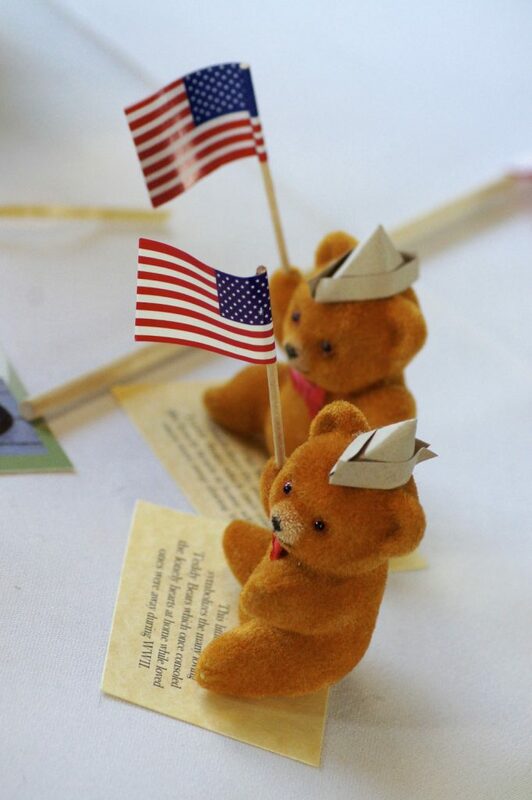 Stories of brave men and women sacrificing everything for the war effort after America’s “Day of Infamy” rocked the nation, propelling it into World War II. Perhaps in those same books, maybe even the same chapter, you can recall seeing a small section discussing America’s accelerating ability to manufacture products of war from tanks, bullets and bombs among others. 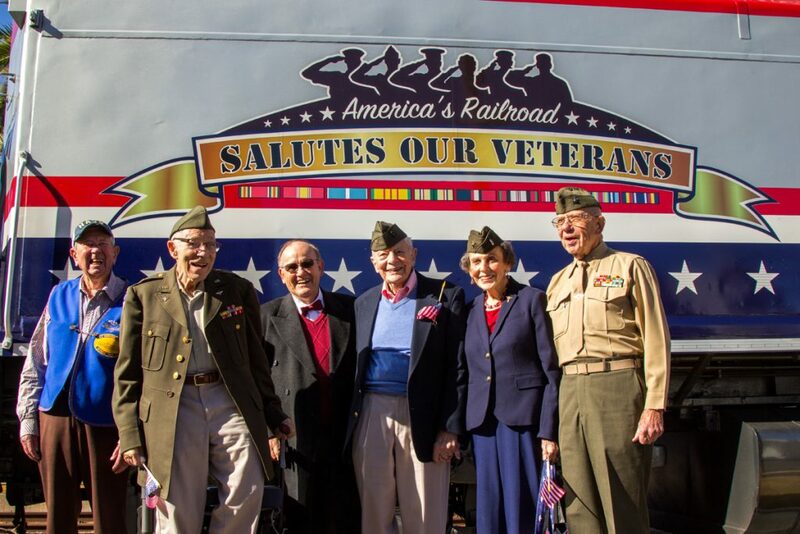 While no war can be fought without these tools, it was the strength of America’s railroads that transported these vital goods, and with them, the men and women that would use them. 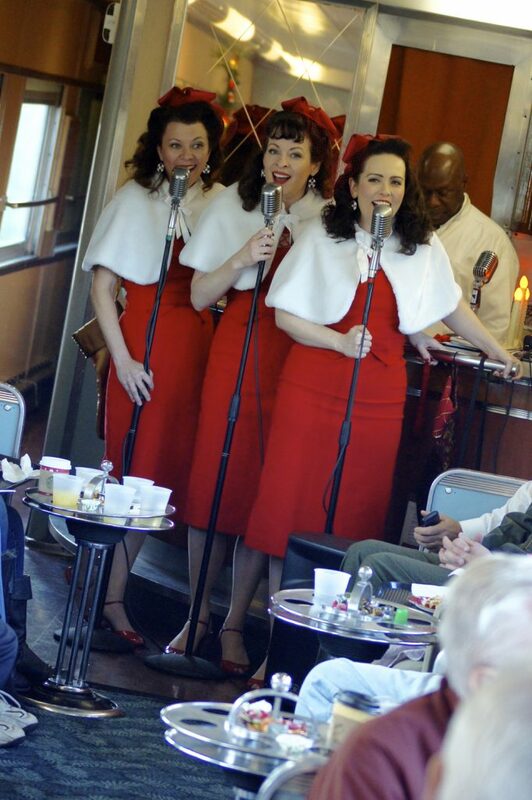 These unique trains, known as Troop Trains, were so vital to the war effort that any regularly scheduled train could be ordered to take the siding to allow its passage without delay. 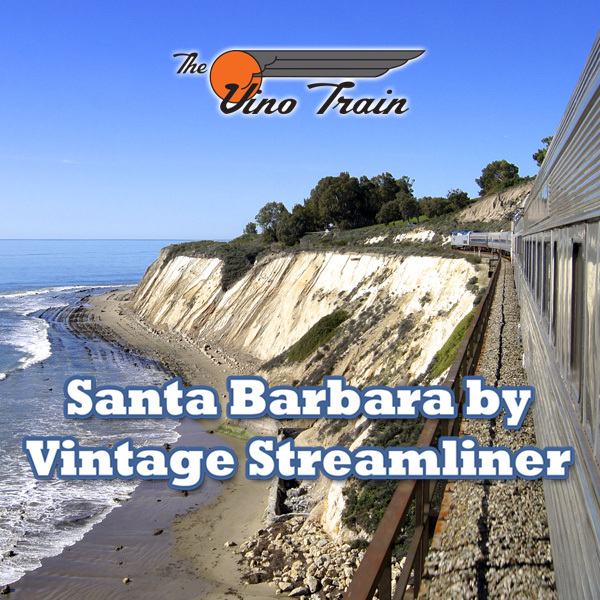 That being said, yes, even some of the most famous passenger trains of the day could be seen waiting for a Troop Train to race by on any given day. 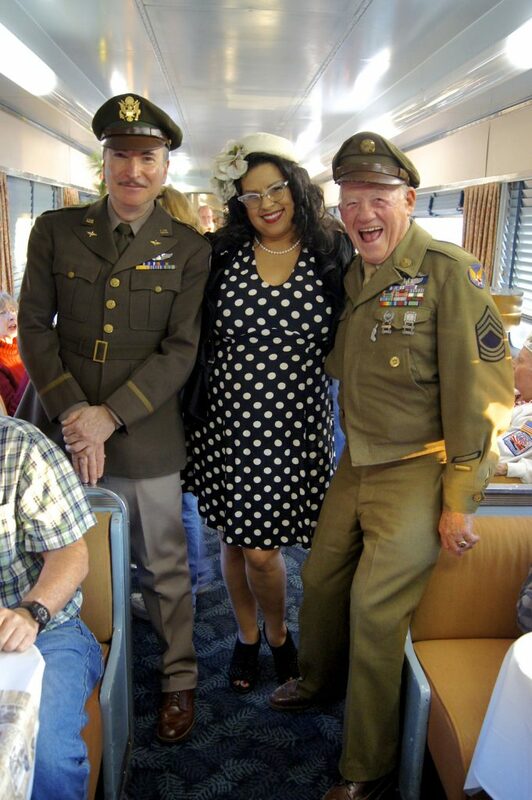 While some 70 years have passed since those priority Troop Trains raced across the nation, LARail has the honor of operating the “Pearl Harbor Day Troop Train” in tribute of those special trains, the men and women they carried and their ultimate tie to those dark days in the country’s history following its immediate entry into the second world war. 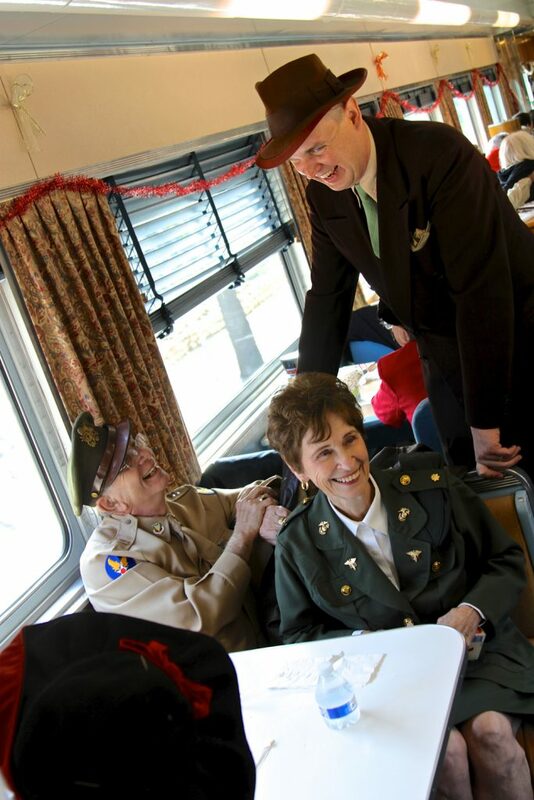 Running annually on the Saturday closest to December 7th, LARail’s Troop Train gives passengers an unparalleled experience aboard its remarkably restored private railcars that date back to the 1940’s and 1950’s as they travel from Los Angeles to San Diego along one of the most scenic lines in the country. 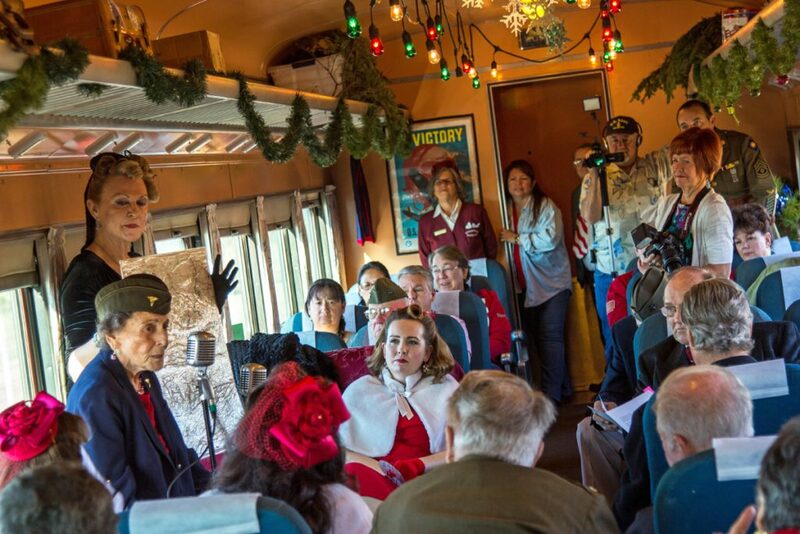 Greeted by signs on the station platform at Los Angeles Union Station of Uncle Sam looking to recruit you for the U.S. Army, you’re immediately transformed back in time when you step aboard these vintage railcars. 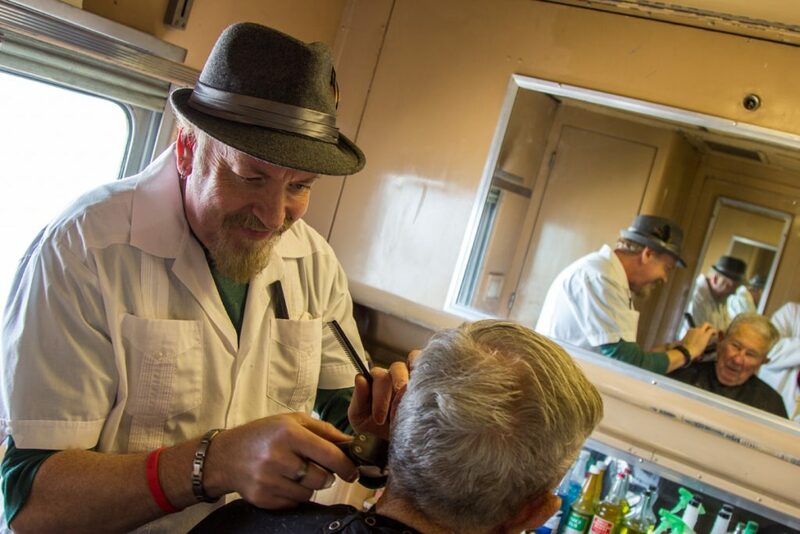 As you walk past the only operating railroad barbershop in the world, with a barber onboard ready for his next customer, you’ll soon be greeted by members of a hand-picked, authentically uniformed staff as they stand ready to serve you. 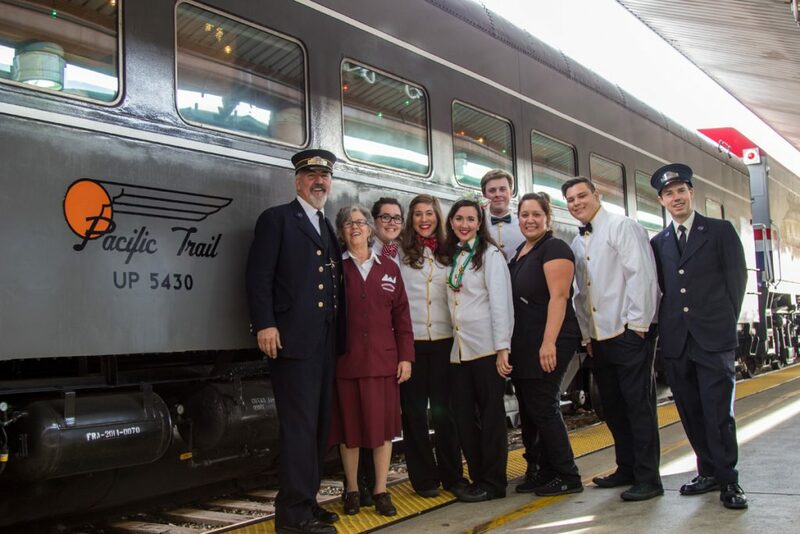 Following the morning departure from Los Angeles, breakfast will quickly be underway offering a selection of scrumptious items including freshly prepared frittata, delectable chicken sausage and a Belgian waffle cooked to your request with real maple syrup. Topped off with freshly sliced fruit and mouth-watering pastries, this breakfast is one you won’t want to miss. 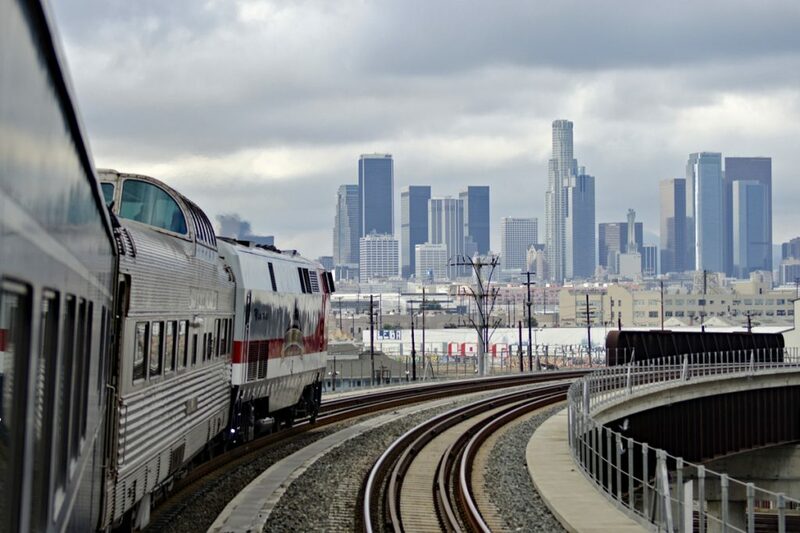 As the train leaves behind the busy metropolis of downtown Los Angeles, you’ll quickly whisk through Orange County at speeds topping 90 miles an hour that will soon deposit us directly on the coast south of San Juan Capistrano. 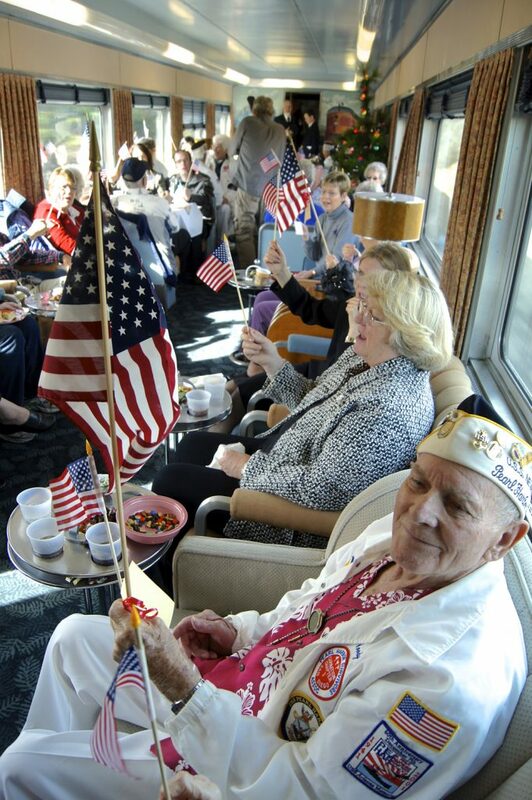 While you look out over the breathtaking Pacific Ocean, at times catching sea mist from crashing waves blanketing the windows of our train, stories from veterans that were at Pearl Harbor on that famous “Day of Infamy” in December of 1941 will remind you the purpose of the Troop Train as we honor these members of the greatest generation. 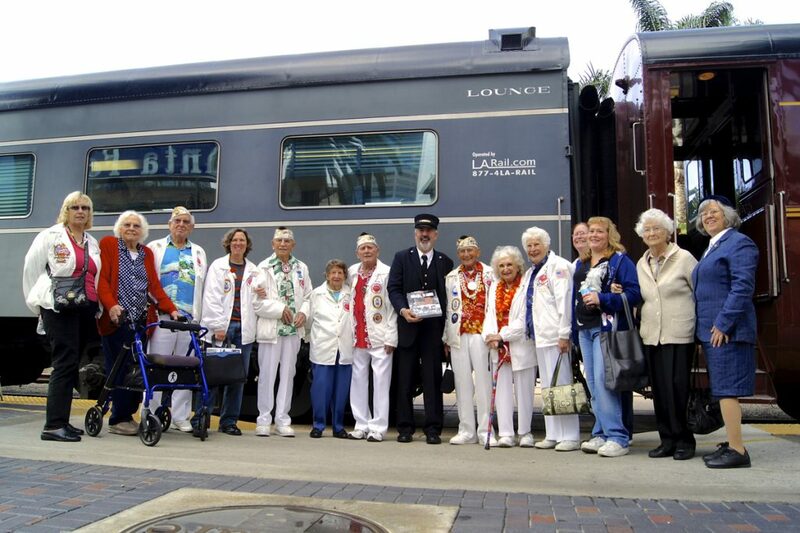 Upon the train’s arrival in San Diego, you’ll have the opportunity to step off and view the over 100-year-old, original Santa Fe Railway depot and it’s remarkable interior still used daily by Amtrak and Coaster. 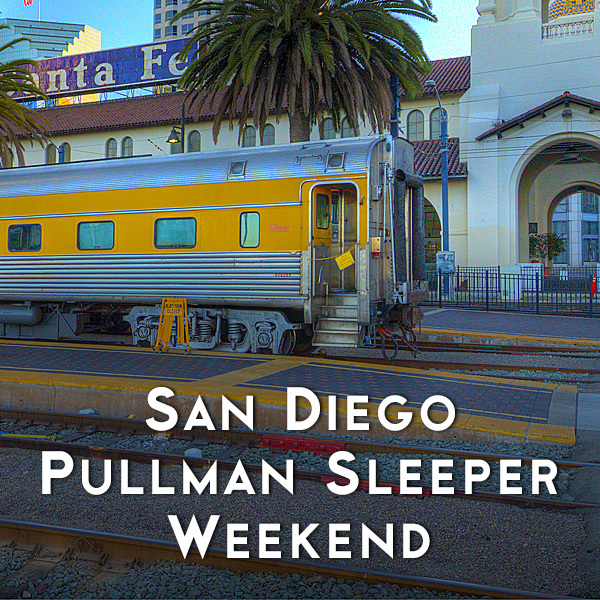 With the option to spend the day in San Diego, you have the freedom to walk through downtown and it’s unmistakable treasures such as the Gas Lamp District or popular waterfront home to the U.S.S. Midway aircraft carrier and other historic ships. 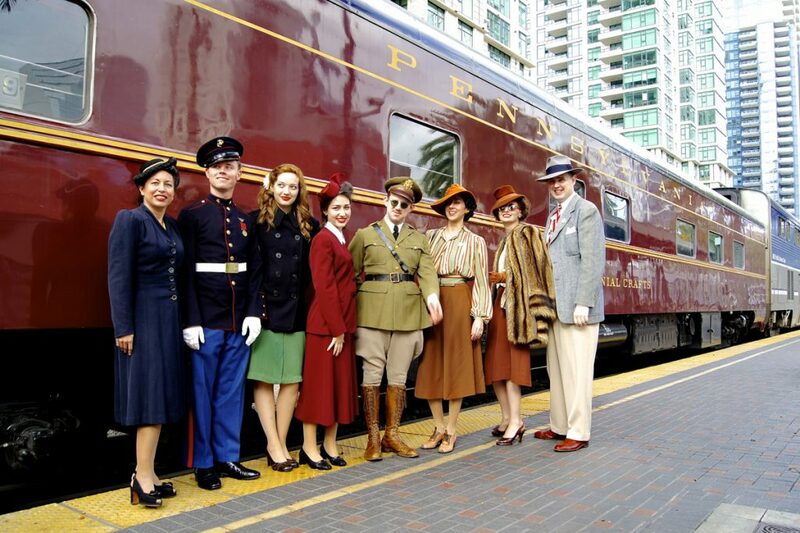 Following your exciting day in San Diego, your vintage railcars will return to the depot ready to take you back in time once again for the journey home to Los Angeles. 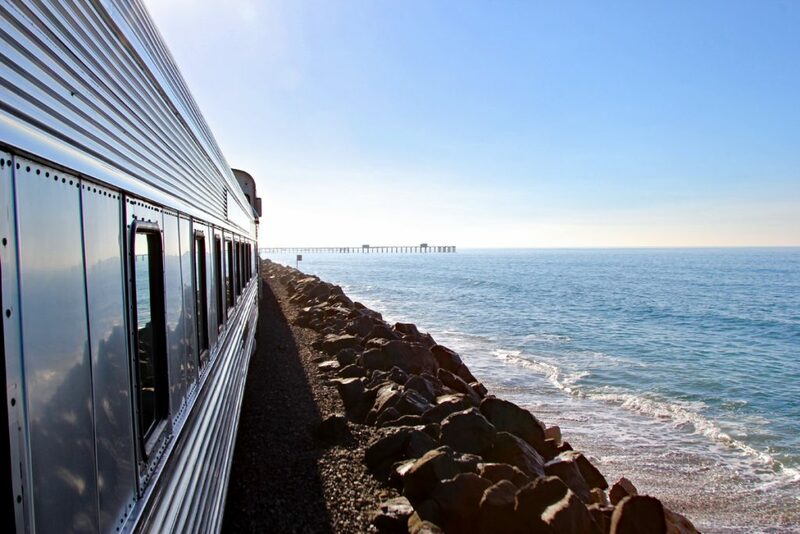 As you watch the sun dip below the horizon as the train hugs the coastline, chefs onboard will prepare dinner as the onboard staff comes to your seat to deliver warm apple cider. 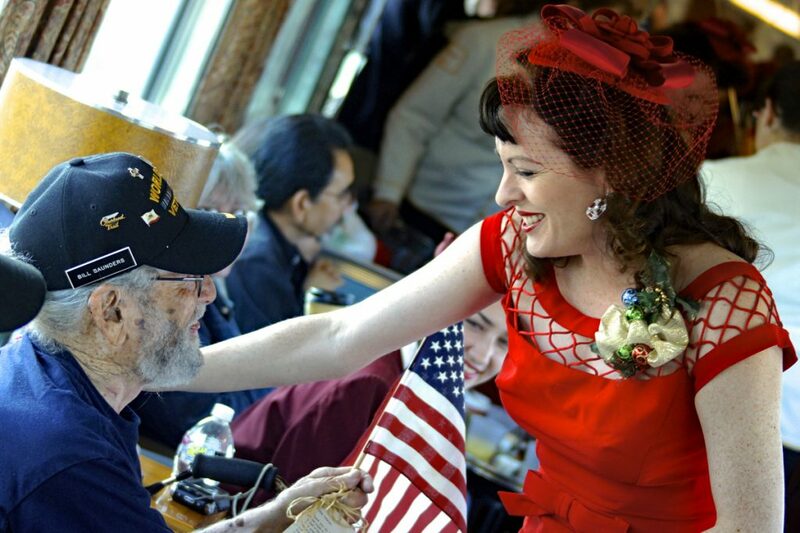 Traversing one of the most scenic routs in America, the Pearl Harbor Day Troop Train is your ticket for a chance to step back in time and share a day with the veterans of World War II as they tell their stories of what it was like in the days after Pearl Harbor and throughout the war. 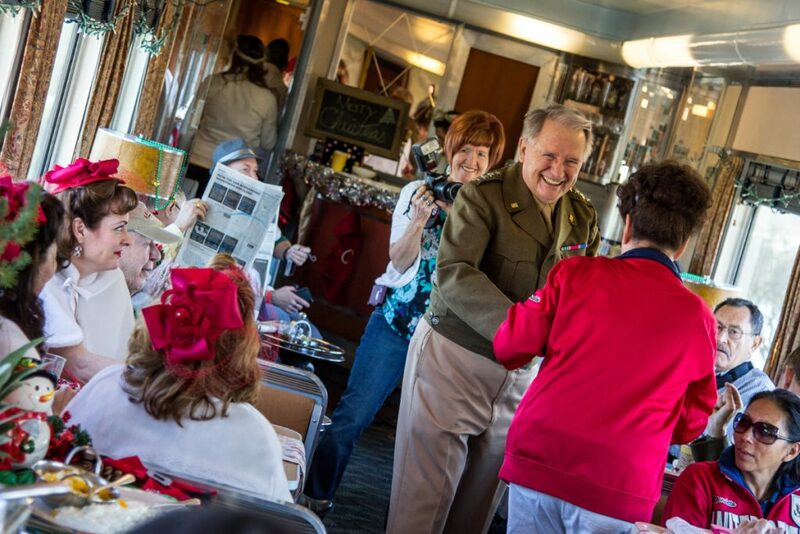 With LARail’s fully restored, vintage private railcars setting the scene, you’ll feel as if it’s 1941 as you sit next to a solider heading to the front or perhaps a special visit from President Franklin Roosevelt himself.